1. This 1960s beauty is awash in original details. All mid-century design lovers dream of living in a beautifully preserved home created by one of the twentieth century’s most revered architects. Well, now’s your chance. 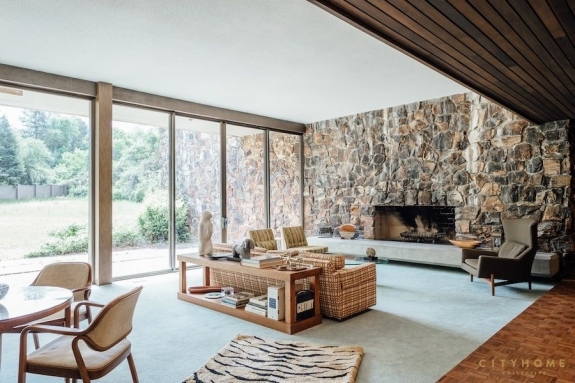 Designed in 1969 by William Pereira—the Futurist architect responsible for a slew of landmark buildings, including the Transamerica Pyramid in San Francisco and the Geisel Library in San Diego—this 4,650-square-foot, two-bedroom home in Salt Lake City, Utah, is on the market for the first time and boasts many original details.